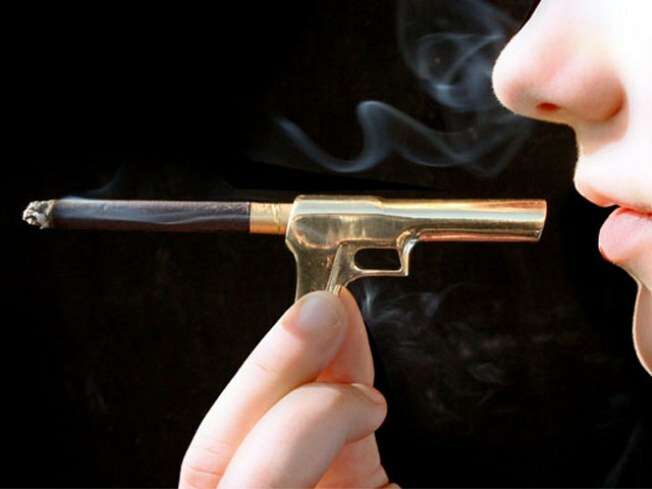 Design Glut's smoking gun cigarette holder, from Everbrite Mercantile. PUFF: The Everbrite Mercantile Collection, curated by local artist Mollie Dash, has some choice pieces in its ever-rotating roster, but this smoking gun by Design Glut may be our favorite. This 2.5” cigarette holder is made of solid polished brass and comes on a 24.5” chain. $140 (metaphors thrown in free of charge!) at Everbrite Mercantile Co. CRAFTY: Finally, a trip through a tunnel or over a bridge is no longer required to shop the handmade, rehabbed and/or delicious wares of the Brooklyn Flea. The institution pops up with the Gifted Market starting today in the former Tower Records space on Lafayette at Fourth Street, through December 24.